"Stand on the shoulders of your forebearers. Because of them you can see horizons they never knew. In the distance you may discern a world which responds to the urge within us to have some constructive impact besides ourselves." 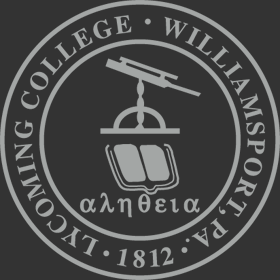 Members of The Tower Society have expressed their commitment to Lycoming College through a very special and important form of financial support. These donors have named Lycoming as the ultimate beneficiary of a planned gift. Such gifts might include a bequest and/or charitable income gifts, such as charitable gift annuities, charitable remainder unitrusts, charitable remainder annuity trusts, or gifts of life insurance. Once you complete your estate plans, please fill out our member profile form to let us know. We would like to thank you for your generosity by including you in The Tower Society. Your membership involves no dues, obligations, or solicitations, but it does allow us to thank you and recognize you for the plans you have made, and it may inspire generosity in others. The Tower Society honors the generosity of those who have expressed their commitment to the College's mission. Benefits of membership in the Tower Society include invitations to special events and seminars, subscription to our newsletter, and recognition (if desired) on our Tower Society plaque proudly displayed in Long Hall. The most important benefit you will receive from joining The Tower Society is the satisfaction derived from making a lasting contribution to our long-term success.